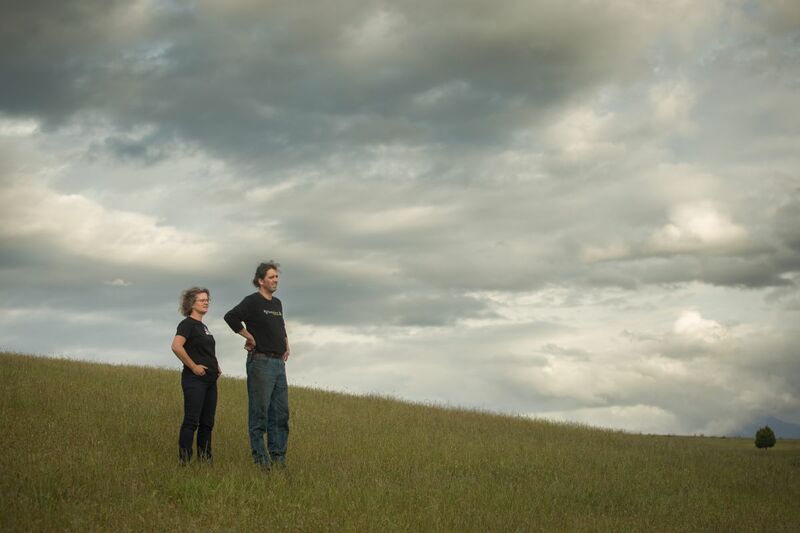 Way back in 2004 we chose to move our young family across the world from southern French vineyards to a 580 ha farm in the Derwent Valley in southern Tasmania with a dream of growing vines and making wine. 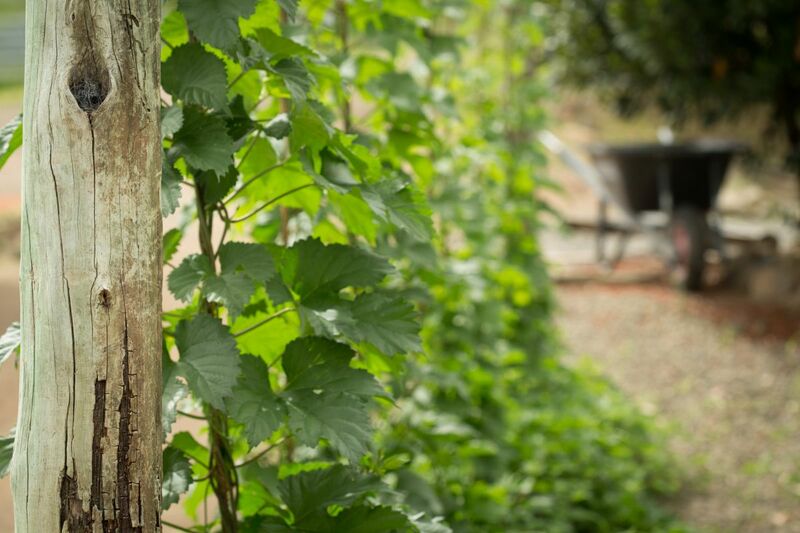 Instead we discovered a rich hop growing history and embarked on a project of ale instead, using ingredients from our farm, this valley and from across Tasmania. Our farm is integral to our business. The ales and cider we brew and ferment in the converted shearing shed would be a different beast should we have chosen instead an inner city warehouse. The farm gives us a sense of place, connected to land and to ingredients we grow ourselves and source from other Tasmanian farmers too. The old shearing shed was converted to house our brewery in 2008. The brewhouse itself was originally the St. Ives brewery in Battery Point, Hobart, installed back in the late 1980s. Rehoused on our farm, the old kettle & tanks are lovingly nurtured to life to help us on our journey to find a unique estate brewed beer. With an organic chemistry degree, diploma in winemaking and a decade working in the wine industry, much of it as director and senior winemaker of the BRL Hardy owned Domaine de la Baume in the Languedoc region of France, Ashley single handedly manages the farm & brews all our farm ale and cider. Describing himself as brewing on the ‘lunatic fringe’, he is the height behind the name of the company. Ashley was awarded a Churchill Fellowship in 2012. He completed his tour of Belgium, the UK & the USA in May and June 2013 where he explored sour & natural fermentation as well as the use of fruit in beer. He also visited a number of maltings in the UK. You can read his Churchilll Fellowship report by following the link below. 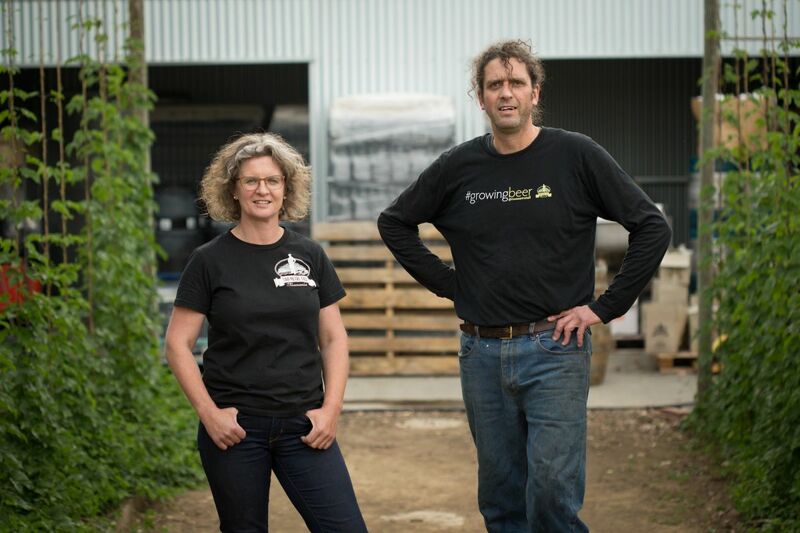 A French teacher by training & honours history graduate, she never imagined she would be so much a part of a farming & brewing business. When you make the trip to the Two Metre Tall Farm Bar or place an order in our online shop she will be there to welcome you! Watch Ashley in action. Thanks to our friends at Grow Assembly.